The first photos of the characters in the upcoming live show Batman Live have come online. The show will premiere on July 19 at the Manchester Evening News Arena. It is expected to come to North America by summer 2012. For tickets and more info, visit BatmanLive.com. 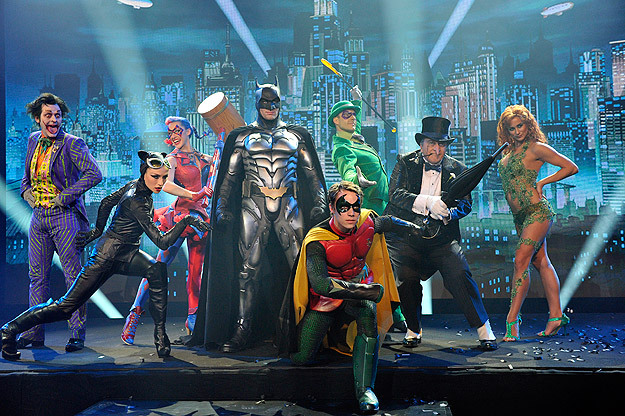 The live show will feature Batman, his trusty counterpart Robin, tireless butler Alfred and a host of other favorite Batman characters, including villains such as The Joker, The Riddler, Catwoman and The Penguin. The story will take place in several settings from the famed DC Comics stories, including Gotham City, Wayne Manor, the Batcave and Arkham Asylum. Click here or on the photo below to view the full gallery!